If you ever wondered what an East Hampton mansion would look like if it were conveniently placed on the Santa Monica coastline (who hasn't, right? ), this would be it. Shutters is a secretive hideaway, tucked behind the busy streets of Santa Monica--but still close enough to enjoy all that the city has to offer. Decorated by Michael S. Smith (of Obama White House design fame), the hotel has a homey feel that caters to a well-off international clientele with a more refined palate. 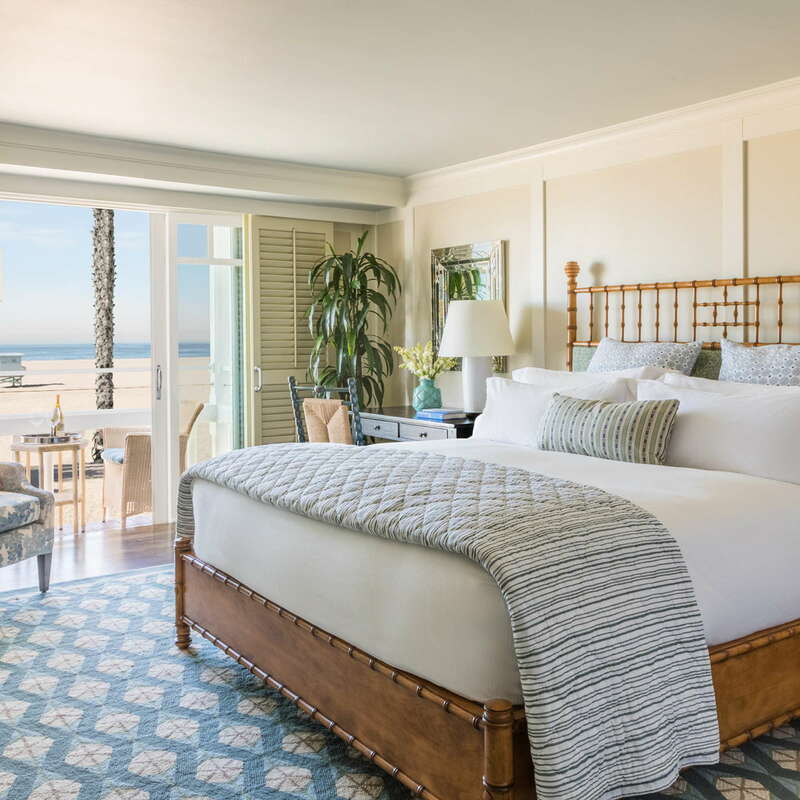 Rooms look like they belong in an East-coast beach house and have hardwood floors, area rugs, and balconies in nearly every room. Keurig coffeemakers are ubiquitous, as is random reading material (you might find the Old Man and the Sea on your nightstand). 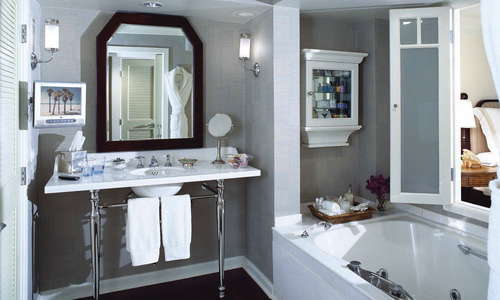 The sunken tub has shutters that open to the bedroom, but the more timid can close them if need be. 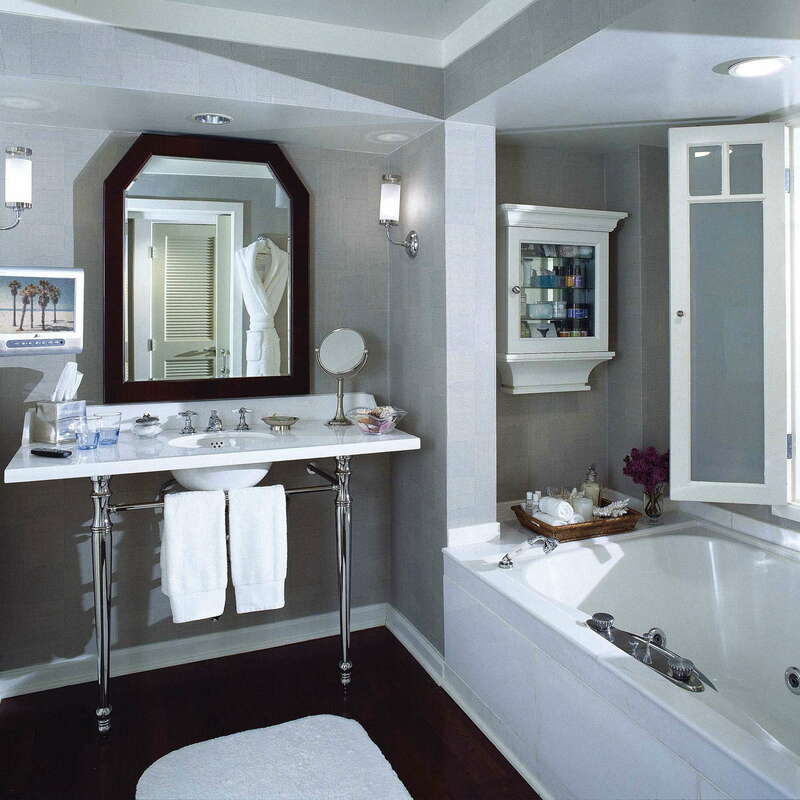 Like its sister hotel, Casa del Mar, the bathrooms include a mini bar with products that can be purchased--otherwise, feel free to luxuriate with Malin+Goetz bath products. There’s also a toy whale you can take home with you. Take that toy whale home with you and you give him a good home. A laid-back vibe permeates throughout this living room space that leads to stellar ocean views off a back patio. 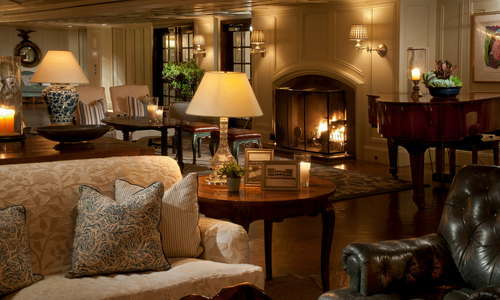 Fine art is strewn throughout the room and there’s a cozy fireplace and grand piano, which sees action six nights a week. Shutters has an outstanding pool deck with dozens of sun chairs aimed perfectly for optimal tanning exposure. The pool looks out over the ocean and has a full food and beverage menu. YOU SHOULD KNOW There's a $25 resort fee, but that comes with a free cocktail, bike rentals, and an entire Beach Activity Center--the hotel will set you up on the beach with chairs, umbrellas, surfboards, and food delivery. 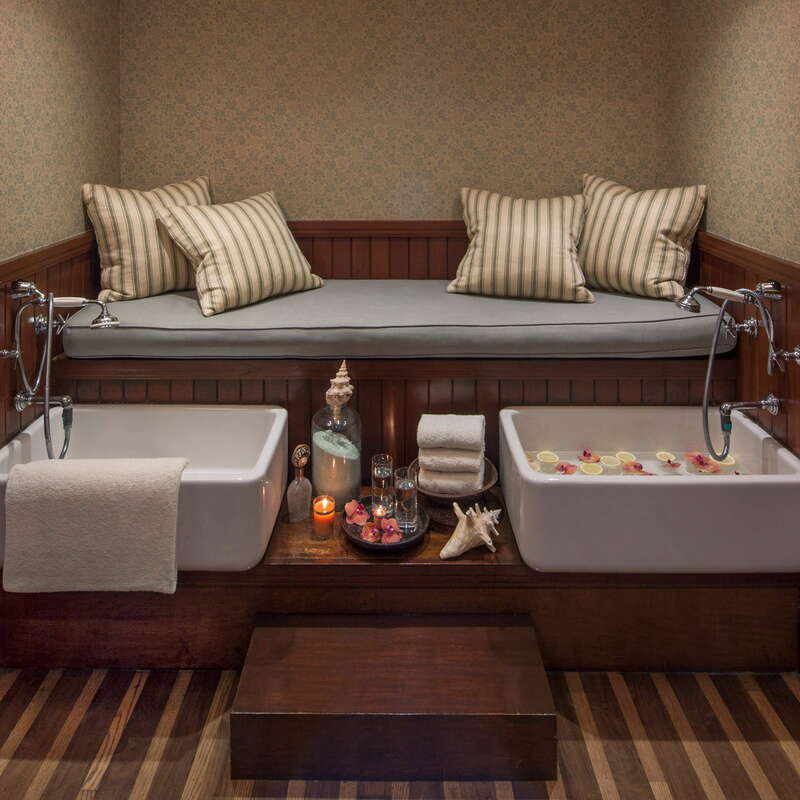 One Spa offers a full menu of services with six treatment rooms for body wraps, massages, facials, and more. You can also ask the spa about private yoga sessions on the beach. 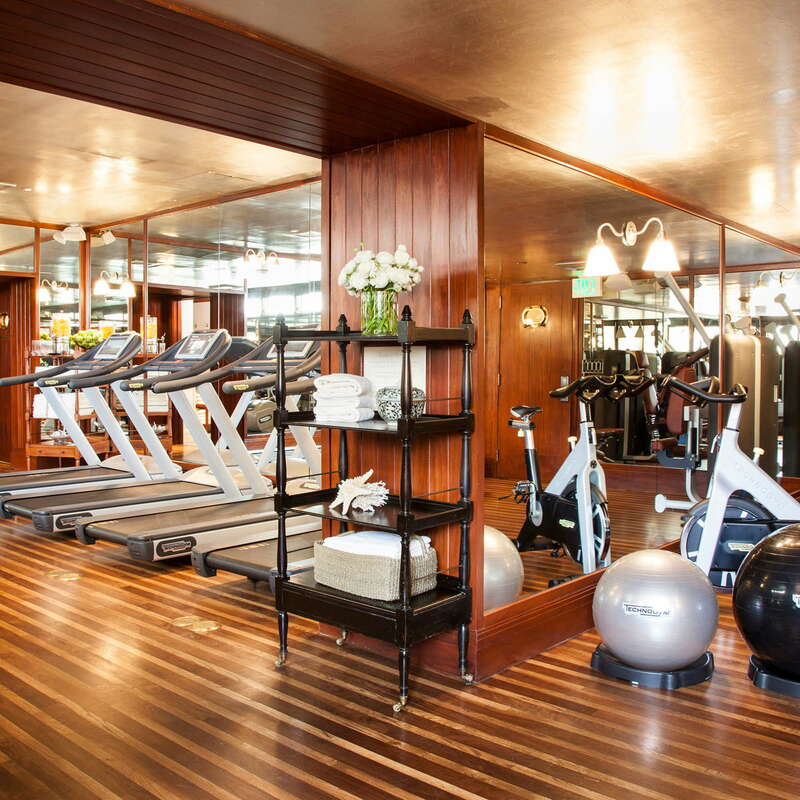 The fitness center has Technogym equipment and free weights, for any and all workout needs. 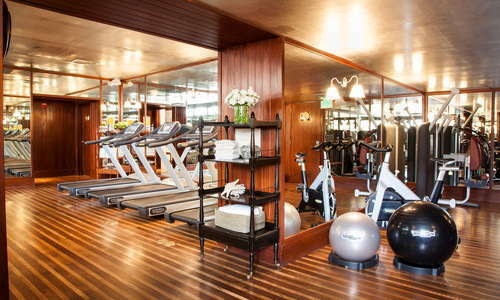 With the $25 resort fee, there are a bunch of free daily fitness classes to choose from--so take advantage! You're already paying for it. 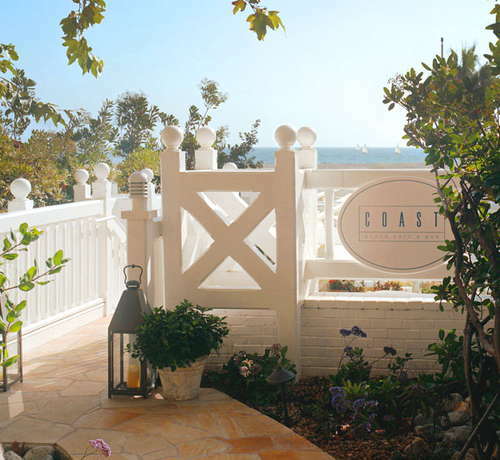 Coast is the hotel’s main casual restaurant for breakfast, lunch, and dinner and features California cuisine and healthy juices. There’s an incredible patio for reading the morning news and sipping hot coffee while listening to the waves crash in. 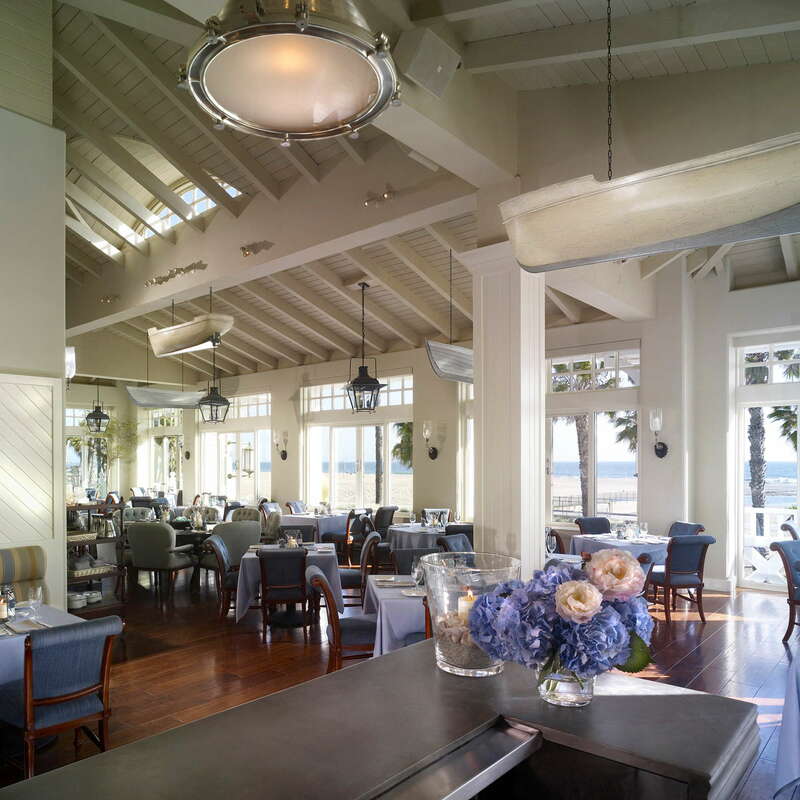 1 Pico is the hotels' fine dining restaurant, which is awash in nautical themes and serves modern American fare. 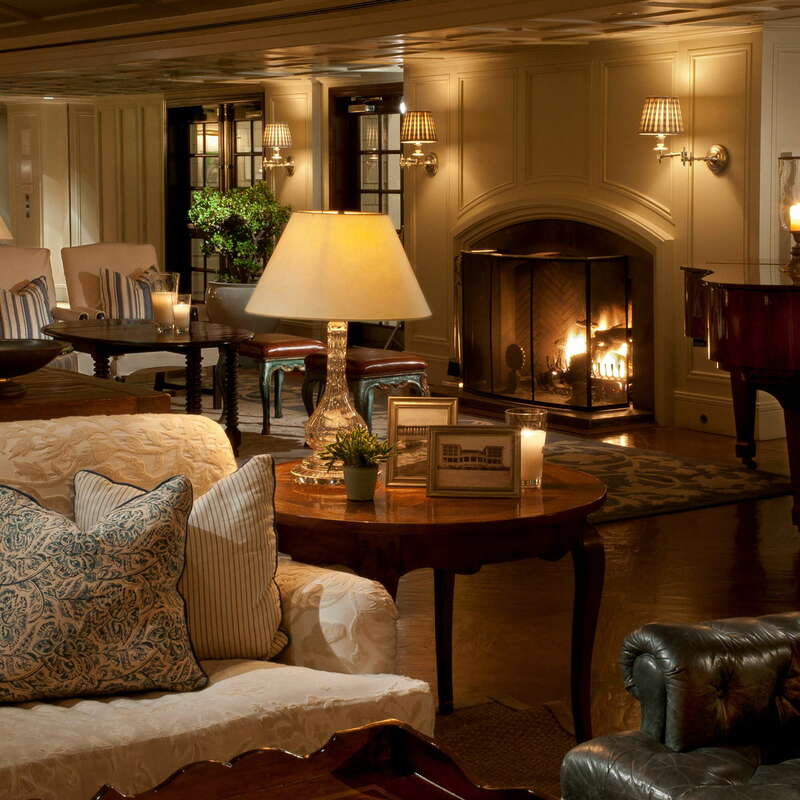 The lobby bar is a relaxed hangout with live music throughout the week. Daily specials range from craft cocktails to appetizers and sweets. The deck outside the back of the lobby is the perfect spot to grab a drink and watch a romantic sunset with your significant other--or, hey, by yourself. That's also allowed and encouraged. Shutters is off the main drag of Santa Monica, but also close enough to walk to everything in the area. If you want to go east to check out Downtown LA or Hollywood, you can walk about 15-minutes to the Downtown Santa Monica Train Station. Otherwise, hailing an Uber or Lyft or renting a car is the easiest way to move about the city. There’s an Ocean Front Walk that extends all the way south to Venice Beach, but walking along here at night can get a little dicey. Just be aware of your surroundings at all times. 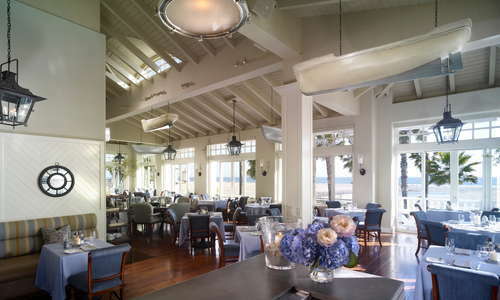 Next door is sister hotel Casa del Mar with incredible seafood spot Catch (1-minute walk). For more casual fare, Stella Barra Pizzeria (4-minute walk) serves artisanal pies in a relaxed environment. The bars at Casa del Mar next door have live entertainment almost every night of the week--and it's much livelier than Shutters. 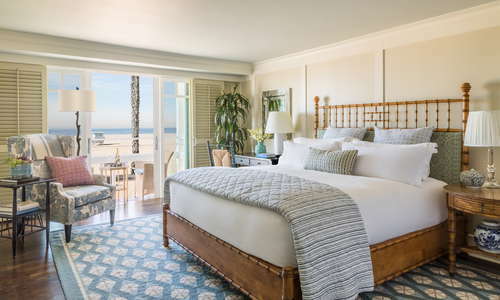 A little bit of East Hampton tucked away in Santa Monica, this hotel is a perfect retreat for the laid-back traveler looking to unwind or the romantic couple looking for a spark. The mood is very chill and inspires a "feel at home" attitude. 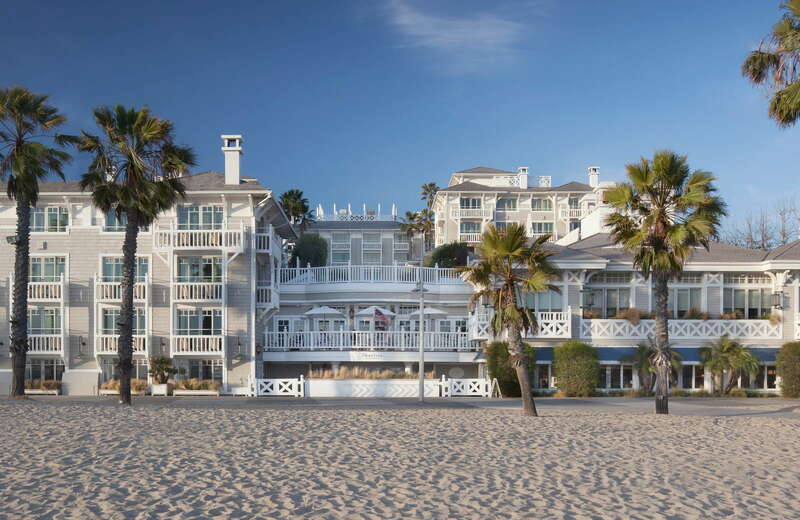 The location is ideal--the beach is right out back and it’s both close enough to Santa Monica to enjoy the city and far enough to be away from all the tourists. If you want a tension-free vacation with all the trimmings of home, you can’t go wrong here.